If you or someone you love has been injured due to the carelessness or negligence of another, contact a Lighthouse Point personal injury lawyer to determine if you are entitled to financial compensation. For over 15 years, our award-winning law firm has represented Lighthouse Point victims and their families in personal injury and wrongful death suits, recovering millions of dollars, because we believe that practicing law is a service-oriented profession; we treat our clients with the respect, attention, and compassion they deserve. As a visible part of the Lighthouse Point community, we hold ourselves to the highest standards of legal ethics while providing sound legal counsel. The Lighthouse Point personal injury lawyers at the Shiner Law Group recognize the claims process for injuries and deaths caused by negligent, reckless, or intentional conduct is multifaceted and stressful, but when injury victims and surviving loved ones understand what to expect, the process of pursuing a settlement or judgment is less daunting. If you or a loved one has been injured as a result of medical malpractice, our experienced Lighthouse Point personal injury attorneys have a demonstrated record of recovering significant financial compensation for those who have suffered from substandard care. We are committed to holding those who inflict physical and emotional harm responsible, and we are prepared to take even the largest medical business chains to court. If you or someone you love has been injured because of the negligence of someone else, reckless or intentional, we welcome you to contact our experienced legal team so that we can evaluate your claim and advise you of your rights and options. We are committed to helping victims recover the compensation they need to move past injuries or loss, so call us 24/7 at 954-999-9900 or online for a free case review to see how we can help. 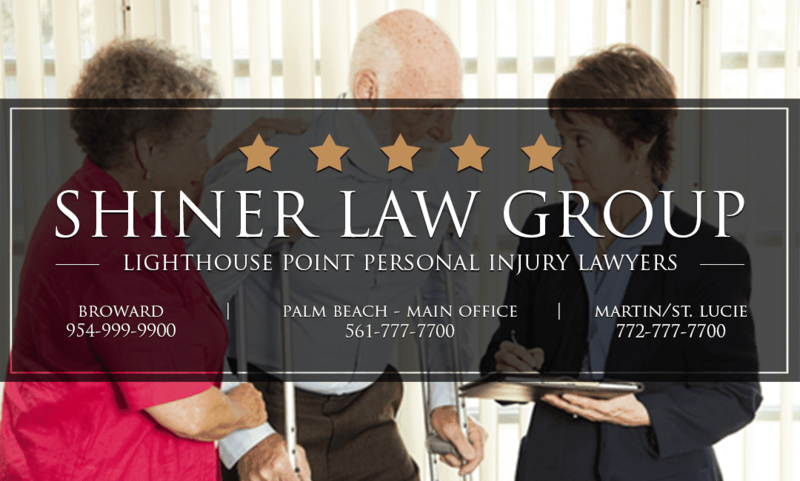 The Shiner Law Group represents fatality victims in Lighthouse Point and throughout the surrounding counties.